With more than 39 years of experience, Cedar Run Landscapes embraces the concept of sustainability and the relationship between our clients, their landscape and the environment. We believe we are not just creating a garden space, but an immersive experience that will age gracefully, integrate with the surroundings and be cherished by our clients year after year. Cedar Run uses sustainable materials and techniques to integrate the art of landscaping, hardscaping, and water features to create outdoor rooms that will become a setting for entertainment or relaxation. We pride ourselves in our ability to integrate landscape design, hardscape design, and water features into one cohesive space. Mother Nature blends these elements seamlessly, so why not join them in your own landscape? Contact our landscape designer to discuss how we can enhance your property. During our 39 years in the landscaping business, Cedar Run has been dedicated to providing customers with soothing and beautiful landscapes that utilize sustainable principles. We work with the existing conditions to highlight those elements that can be found in the surrounding environment such as the local stone, soil and native plant communities. The integration of native plant species, local materials and aquatic habitat into our projects help us create a balanced environment, improving the quality of life for our native wildlife and our customers. We are not just creating a landscape, but an experience that will be cherished by our clients year after year. Our landscaping contractors provide services to Philadelphia, Montgomery, and Bucks counties in Pennsylvania. We're always looking for highly qualified staff members. Please email us your resume if you are interested. 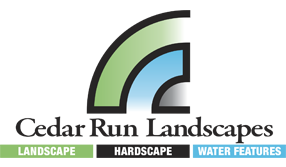 QUICK CONTACT - Please fill out the quick form and submit or call us at (800) 526-3722 for your landscape design needs. We will respond to your request as soon as possible.